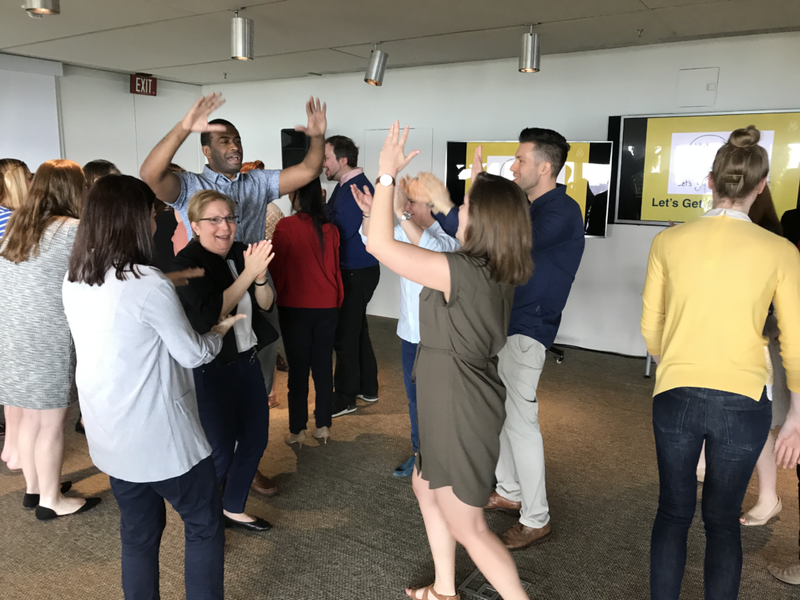 Organizational improv is an invaluable corporate training tool for building professional skills related to collaboration, innovation, and creativity in the workplace. But all too often leaders are unsure of their role in the experience. They obviously understand the benefits of improv (they likely made the decision to invest in a workshop for their team) — but exactly how are they supposed to participate? Leaders often think that they need to be the leader in all situations, even collaborative activities such as organizational improv. Or they think that it’s best that they not participate at all out of fear that their authoritative presence might ruin the group dynamic. Neither are true, and both put the value you’ll get from bringing improv to work at risk. Opportunities in a business setting to be your authentic, candid selves, as improv provides, are all too rare. It’s in your—and your team’s—best interest to take advantage of it. In the tips below, we outline how to get the most out of an improv-at-work experience for you and your team. There is power in seeing your boss do something vulnerable and uncomfortable first. Participating in an improv workshop with your team provides a unique opportunity to set the tone for the experience and how you’ll all work together in the future. It’s also an opportunity to lead “from within” as part of a team vs. from a higher position on the organizational chart. Leaders make great “plants” to get things going in an improv session. For example, you can jump in to be the first person to speak up if no one else does, and therefore model vulnerability. (However, as our tips that follow make clear, don’t be the first to speak for the sake of being the first to speak.) You can also choose to make the zaniest choice in an activity to model just how “out there” your team should feel comfortable getting. Bottom line: If you’re in the room and participate on equal footing with the rest of your team (we’ll show you how below) , organizational improv can be a truly transformational experience for all involved. So, now that you’ve made the excellent decision to be in the room, it’s essential that you know how to participate appropriately. If you don’t, you could lose credibility among your team and the session may not meet its desired objectives. 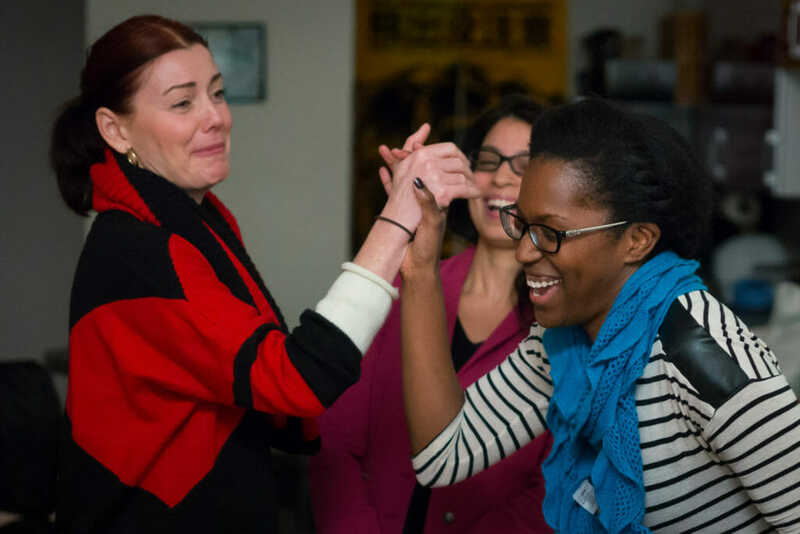 Follow our seven tips below to make your organizational improv workshop a positive experience for your team—and an invaluable experience for you as a leader. At the beginning of every improv session, the facilitator will guide participants to agree on some ground rules/group norms to make the experience a success. These will include things like: No electronics. Be vulnerable. Be present. Have fun. Remember that these apply to you, too, no exceptions. So no ducking out for a “very important” phone call. No one needs a reminder that you are Mr./Ms. Big Shot. They need to know that you are committed to making them and their work better. We know this isn’t easy for any leader, but it’s crucial: Let the facilitator be your guide. In order for organizational improv to work, the facilitator needs to be the credible expert — and yes, even the leader — in the room. Additionally, relinquishing control is an equalizer. If you take control, then everyone isn’t equal, so resist the temptation to do something like interrupt the facilitator, suggest “improvements” to an exercise before you’ve tried it (or even after), or trying to “win” the activity. Take pleasure in this opportunity to be a participant and take your leader hat off. Perhaps the most impactful thing you can do is to lead by setting a positive and playful tone. The sooner you look silly, make yourself vulnerable, and demonstrate open mindedness and a willingness to experiment, the sooner your team will, too. For example, if participants are hesitant to go first at something, volunteer and go all in with a sense of play and fun. You can also make positive statements throughout like, “Wow, that activity was fascinating” or, to a fellow participant, “That was such fun doing that activity with you!” Smile often and have positive body language. If you have a productive question that comes from a place of humility and curiosity, ask it. And if you have a question you think others might want to ask but are holding back, ask it too. By asking questions that everyone in the room can benefit from (for example, clarifications on instructions for an activity) you make sure everyone is set up for success. At times, you’ll be in a better position to read the room and gauge what your team is thinking — use that to help your facilitator better serve and engage everyone. Throughout the improv session and in the post-activity debriefs, lead by just listening and absorbing. Try to let two (or more) participants speak before you do. You and your team have just been through a unique experience together, enjoy just listening and learning how your team is processing it. The other participants and the facilitator are not expecting you to contribute to every discussion, and most of your learning, as a leader, from the session will come simply from listening. Respect the experiences and emotions of the other participants that come up. There is no right or wrong here, so get curious and enjoy being surprised by your team. Be an active and engaged listener and resist the urge to want to “answer,” clarify, or solve everything that is said—that can sometimes comes across as defensive and can turn the entire experience in to a downer. One exception to this is if you find that your team is being extra hesitant to contribute to the session or debrief; here, you can model good behavior by kicking things off with your own contribution to set the right tone. When you do participate in debrief discussions, try to make your contributions exploratory and self-reflective rather than declaratory or interrogative. For example, “This was great and made me realize that I could do better at _____.” or “I wonder if this could be used the next time I ________.” Use your credibility — and vulnerability — to expand people’s thinking. Refrain from evaluating the workshop or other participants out loud in real-time. Such judgement and evaluation in the moment will cause you to miss important concepts. It can also make your fellow participants uncomfortable or, worse, embolden some of them to display the same unconstructive behavior. There will be time to discuss your personal feedback and thoughts privately with your facilitator after the session is over. In an organizational improv workshop, leaders who choose to wholeheartedly participate are assets not liabilities. 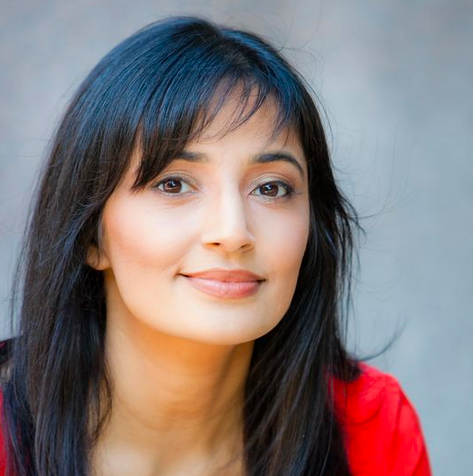 Being good at improv isn’t the point; leave that to the performers! Being open to the experience, engaging in the process, and seeking ways to apply it to your work are the goals. Model that for your team, and you’re on the road to being a better leader with an even higher-performing team. Download our Organizational Improv Tips for Leaders sheet for easy future reference. Hire Mindhatch to bring organizational improv to your organization!